My son — a member of the target audience — interviews me about my book Mary Dyer, Friend of Freedom. A blatant promotion, but we had fun doing it. Enjoy! 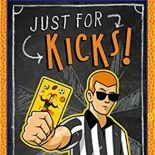 This entry was posted on November 27, 2014 by johnbriggsbooks in History, Mary Dyer, Nonfiction and tagged american history, children's books, Mary Dyer, middle-grade books, Nonfiction, religious freedom.